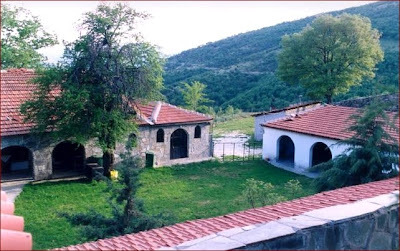 At the Monastery of Saint Anthony at Kastania of Servia, Greece in the area of Siapka there is a monk whose name is Eusebios. This monk narrated a miracle that recently took place in this Monastery. A relative of the monk Eusebios, after he was found by doctors following an examination to be suffering from severe cancer, gave up everything and went immediately to the Monastery of Saint Anthony. The Monastery had something peculiar. Right next to the Katholikon and attached to it is a room, there is a door which attaches both, and in this small room there were chains. In the olden days, those sick who had a mental illness would be held there to be treated. They tied those patients with chains accordingly who were considered dangerous. These chains still exist there today. 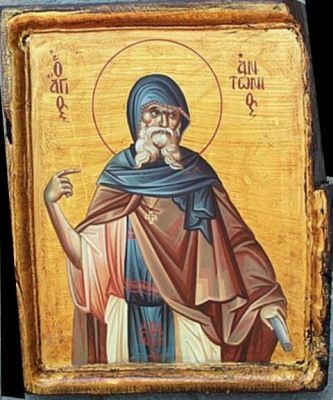 This man had given up everything and since the time he went to the Monastery, as the monk told us, every day he would tie himself with the chains from morning till night and made constant prayers and supplications for his health. After fifteen days had gone by the man felt better. He left and returned to the doctors asking to be evaluated. The doctors told him that the funds would not be covered, as little time had elapsed since he was last evaluated to warrant any new tests. At his expense new tests were done and they found him free of disease.